A hidden gem in Gurgaon, Cafe Sante served us some of the best breakfast we’ve had in a long time. 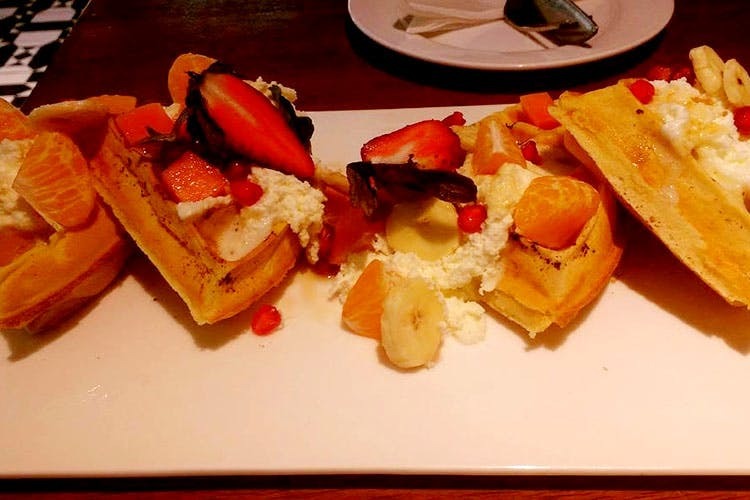 Do try their waffles and make-your-own sandwiches. People looking for American breakfast options will definitely love this place, and the waffles here are amazing. It’s a cute little place that will remind you of cafes in movies. They also have their own space with different varieties of cheese and cold cuts. The chef was kind and took good care of us. We loved the food; the hospitality was just a cherry on the cake.